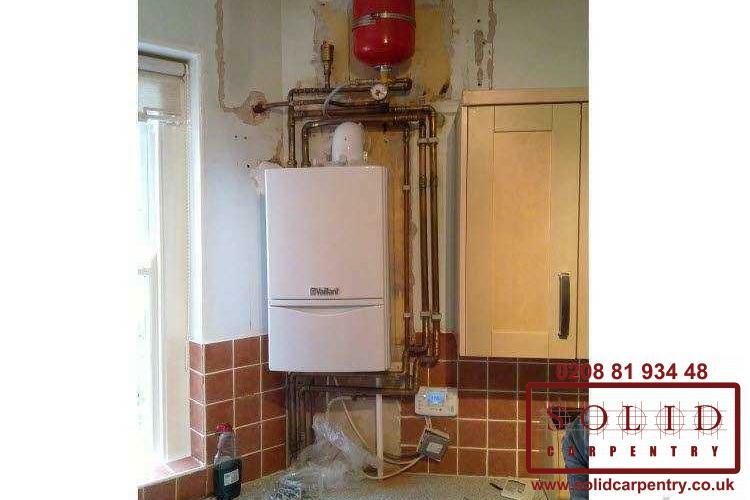 These before and after images illustrate just how effectively a built-in boiler cupboard can conceal unsightly pipes and fittings. 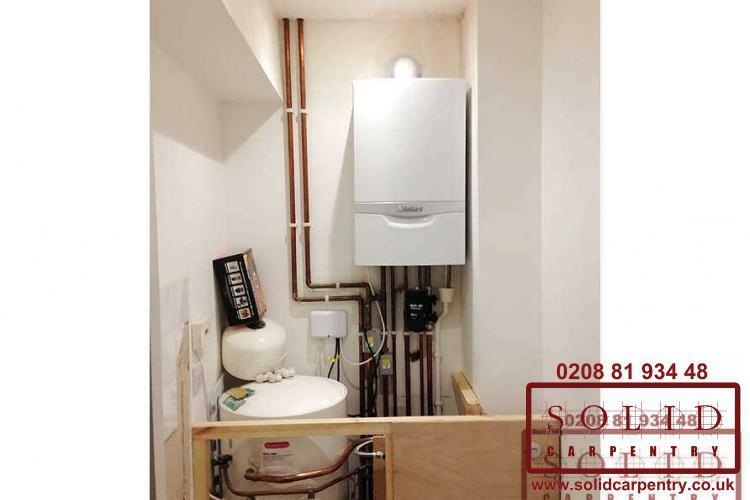 No matter which room houses your boiler, a made-to-measure cupboard provides a discreet and attractive cover and will improve the appearance of any room. 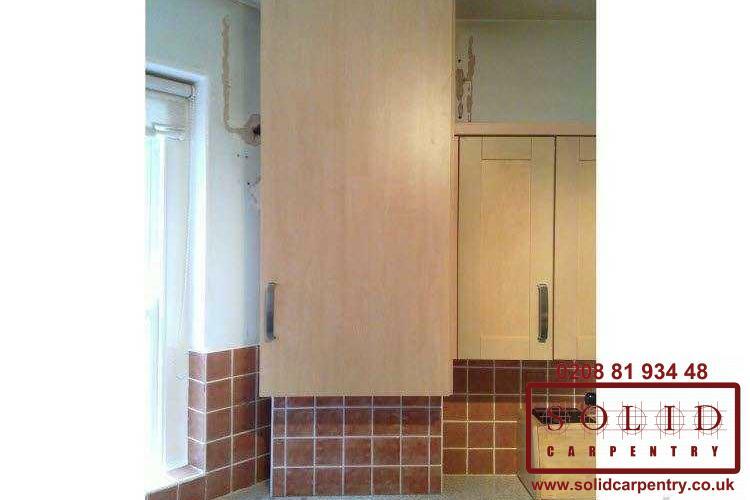 As you can see, at Solid Carpentry we can design and build a tasteful cupboard around boiler that not only looks pleasing but also meets all the necessary safety standards. 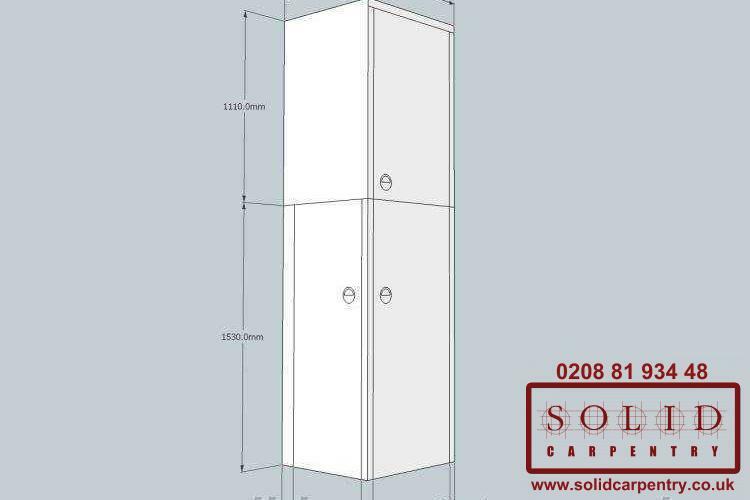 Our highly skilled and knowledgeable London carpenters will ensure your built-in cupboard complies with all regulations, including the fitting of inspection hatches where necessary, to keep in line with gas safety standards. 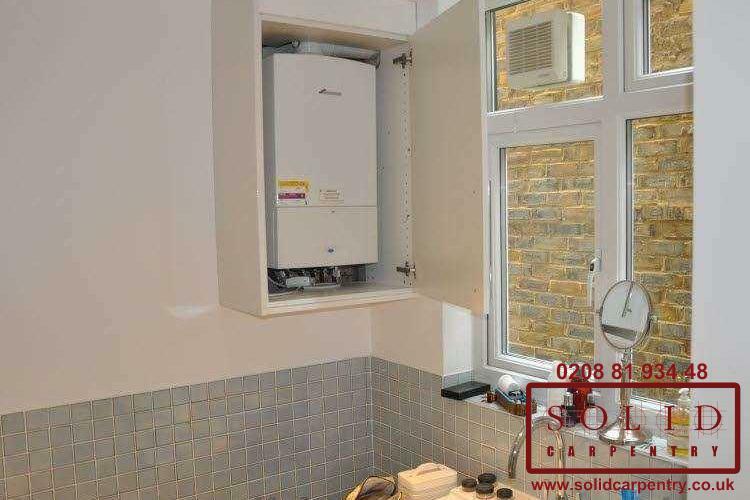 Today, most properties in London are fitted with a boiler to heat rooms and water. 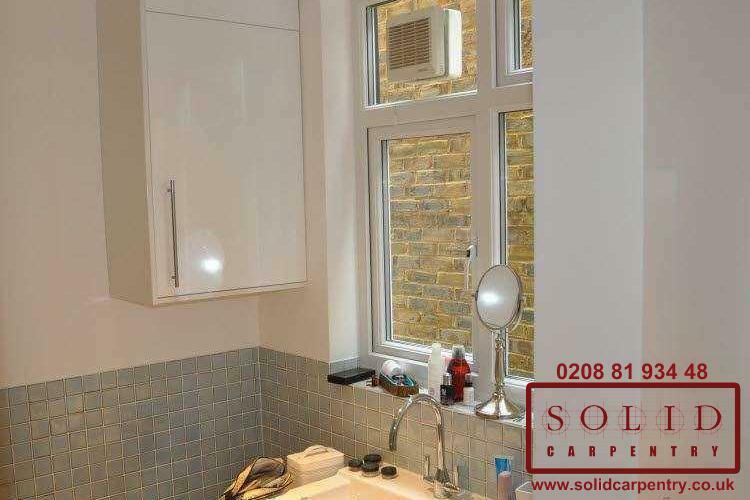 They can be found in kitchens, cellars, lofts, bedrooms, and utility rooms and usually come in two basic forms: standing or wall-mounted. 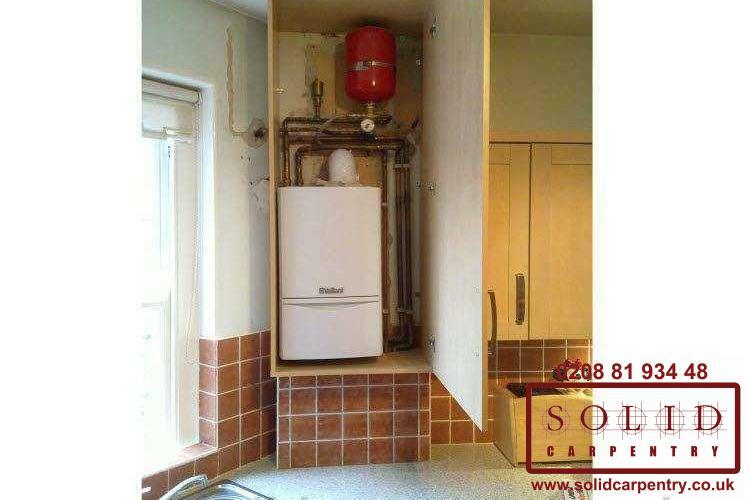 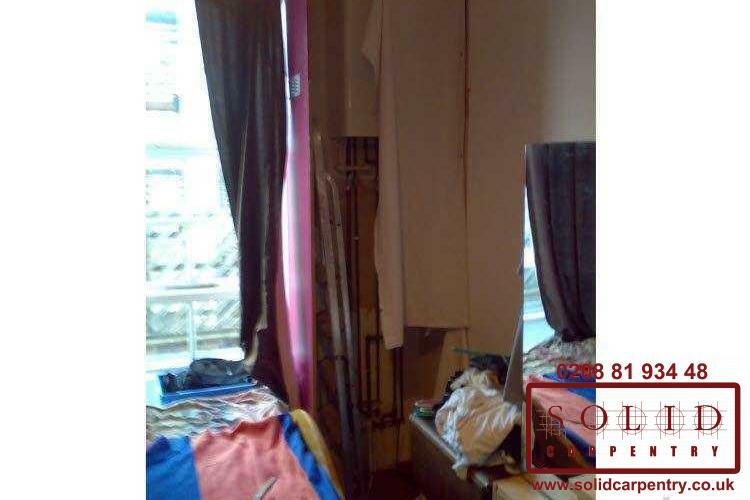 Whatever type of boiler you have and wherever it is to be found, its placement can blight the appearance of the room. 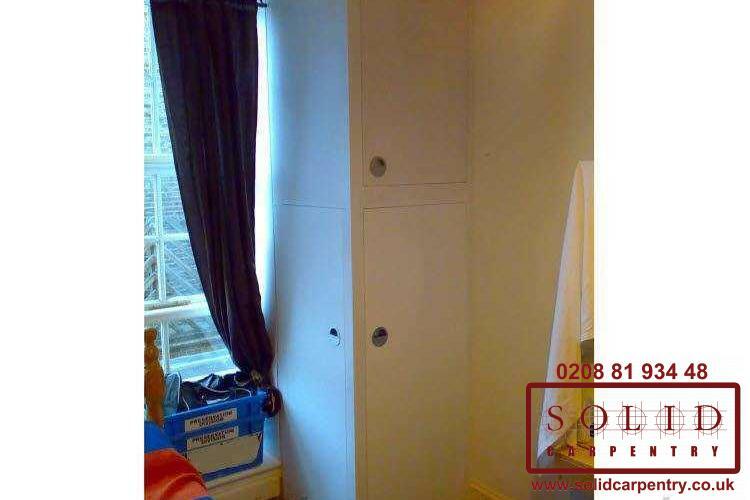 A high quality cupboard to hide boiler can, however, add a stylish feature to the room and in some cases, provide additional storage space. 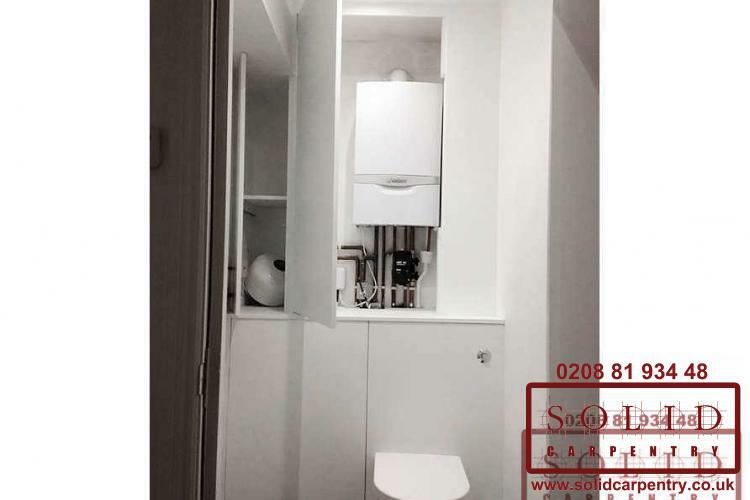 In some kitchens, for example, a boiler cupboard could be integrated into a storage solution that also features drawers or shelves to house cutlery or dinnerware. 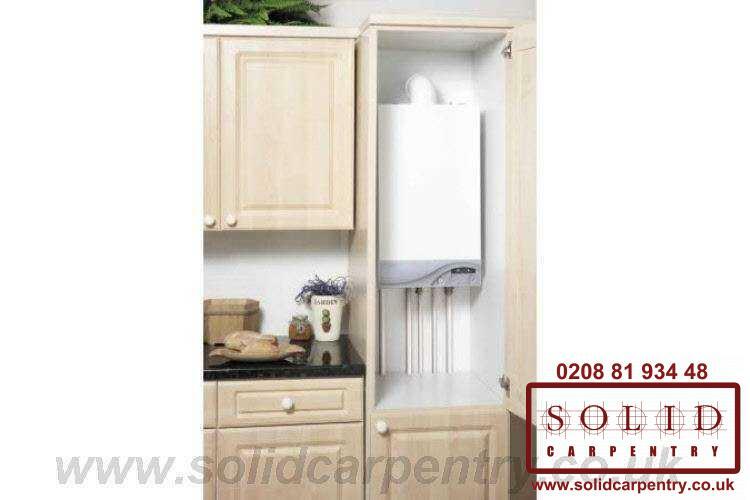 Within these images you will see examples of our work where we have transformed the appearance of kitchens, bedrooms, and more by simply installing a stylish built-in boiler cupboard. 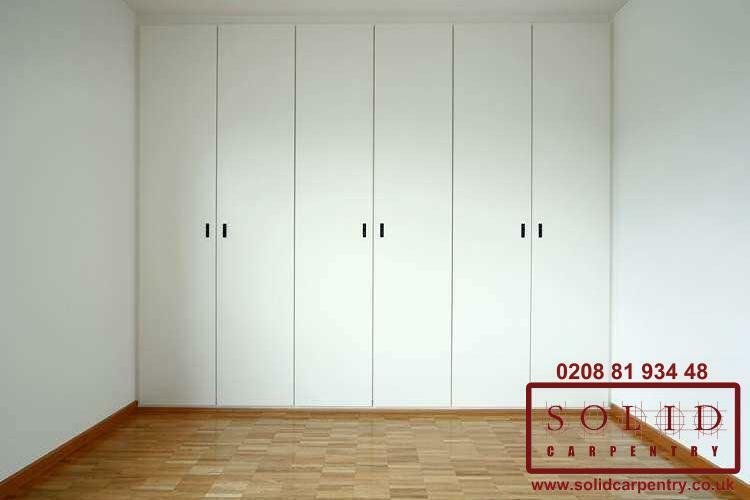 Our Solid Carpentry experts crafted each of the cupboards pictured at the left using premium materials and in a style that complemented the look and feel of the room, leaving our customers 100% satisfied with their choice. 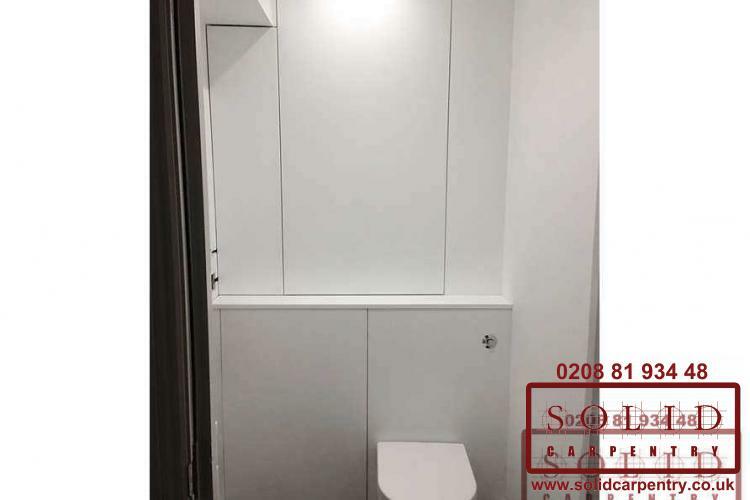 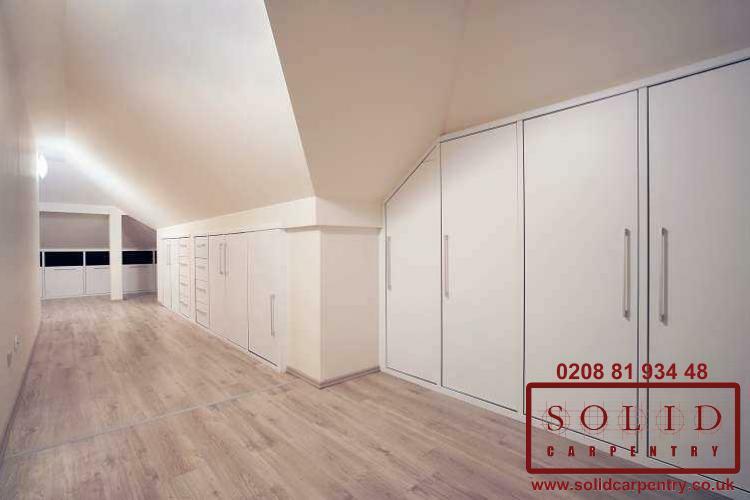 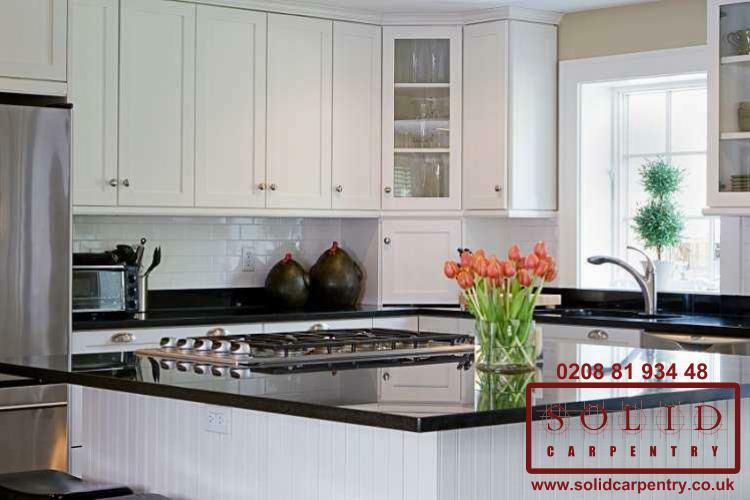 Solid Carpentry is one of the leading carpentry and joinery companies in London specialising in designing, manufacturing, and installing fitted furniture units. 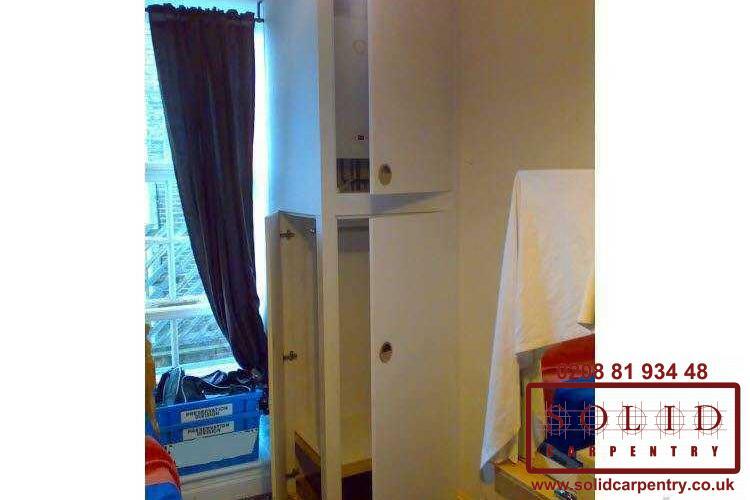 Our qualified, multi-skilled carpenters can create any style, look, and feel of built-in boiler cupboard to suit any interior design at competitive prices.